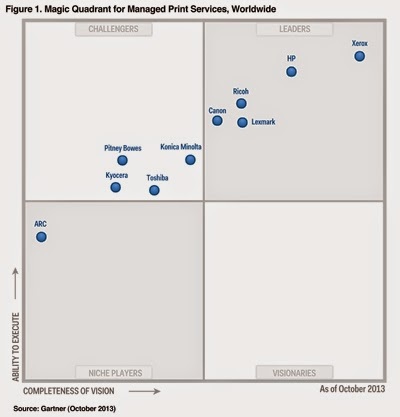 The Magic Quadrant: Reflection of MPS or Marketing Budgets? "The New Matrix is here! The New Matrix is here!" 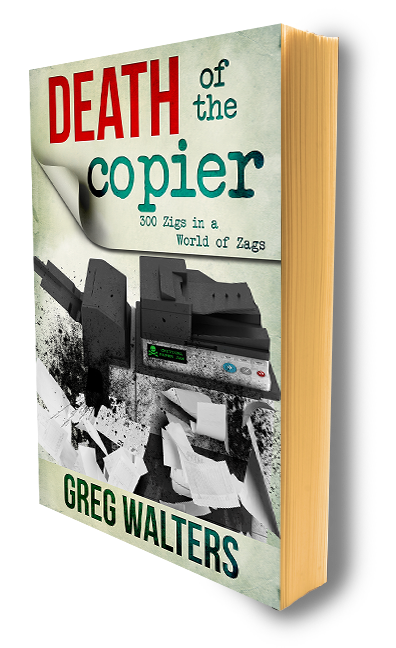 the Magical Matrix came out last month showing just about everybody - Xerox, Ricoh, Canon, Lexmark, HP, Konica - in the "Leaders" sector for Managed Print Services. 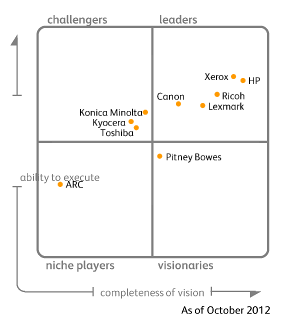 Kyocera and Toshiba end up as "Visionaries" - I guess an erasable copier can be considered visionary - and ARC looks to be the only "Niche Player". 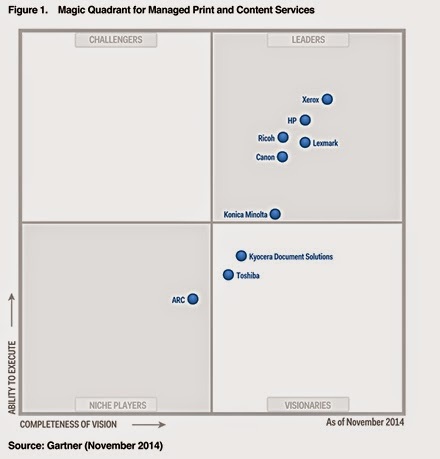 I've always wondered if there is a correlation between the amount of money folks spend with Gartner and their placement in the upper right. Probably not. Either way, the square looks skewed. "...The active management and optimization of document output devices and related business processes..."
7. Konica - Why sell anything but copiers with landed margins like that! One of the strongest arguments in MPS is lowering cost through the reduction of the number of devices.(Optimization). This single leverage point is difficult for an OEM to reconcile as long as there are plants building machines. In this year's Mystical Matrix, everybody except one, operates manufacturing plants and the one player is presented in the lower left. ARC is different. Specialized and tasked with REMOVING DEVICES FROM EVERYBODY'S MIF, they're about as close to MPS Purity as possible. Millions of dollars are spent by purchasers every year based on who is placed where and I don't think the Mystical Matrix has an once of relevancy in MPS. The fact that ARC is placed in a lower quadrant tells me that Gartner's definition orbits machines in the field or images captured/under contract. Which is a losing argument not for the future. The companies mentioned aren't at fault - HP has a good MPS program, Xerox's is better; Ricoh has a solid MPS program, Xerox's is better. But the comparison is on a GLOBAL scale. How many of you are selling to Fortune 500? If anything, the ranking shows how similar ALL the programs have become. They're painting with the same set of colors - or worse - only one. 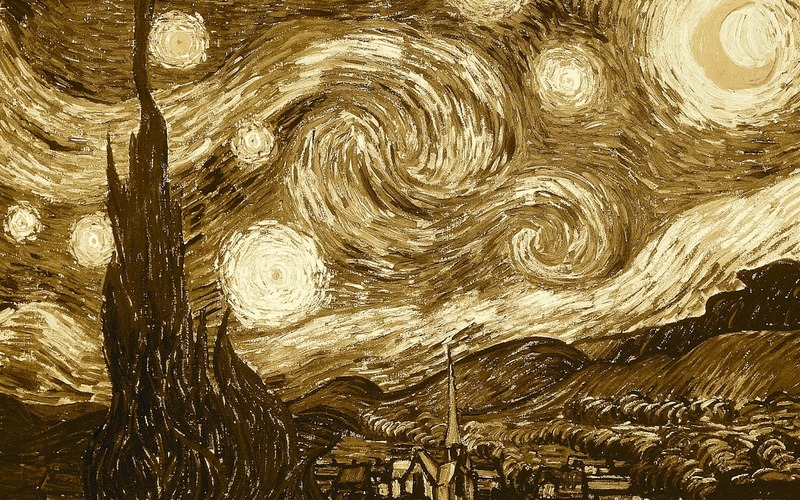 It would be as if Van Gough painted Starry Night with a single color. We've gotten to the point where all MPS programs look, act, feel, and taste the same. Where touting the number of collected awards is part of a value proposition . In a world that increasingly regards 'expert research' as rear-view-mirror forecasting, why do we listen? "No, Really, What's Your Point, Greg." The latest slew of awards and accolades proves my point - all machines are the same. Here's the kicker, this isn't simply my, personal view - more than likely, your prospects think the same way. They don't care about BLI or Gartner - they barely think about print - the care about how you empathize and help them solve problems. The best to be done with any of these studies is to ignore and move on. 2014: The Year in Review - BORING. Did ECi Just Hoodwink An Industry?